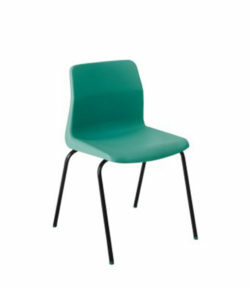 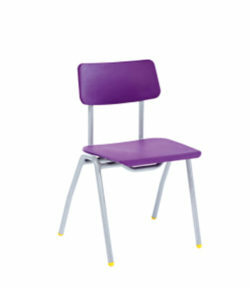 A robust classroom chair with a six year warranty. 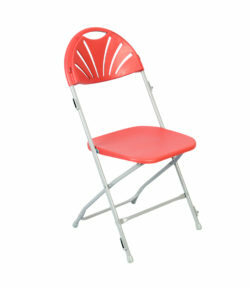 The skid base is kinder to floor surfaces than a normal four leg chair. 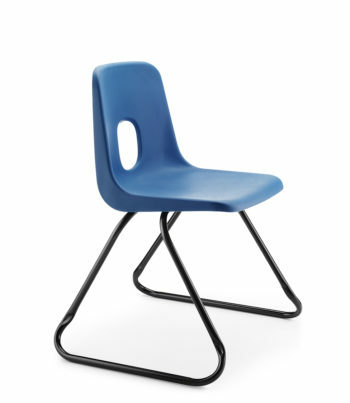 The unique design of these chairs means that the frame legs interlock without the need for any additional attachments.